Welcome to Newmarket’s all inclusive salon & spa. Come on in and kick back in our cozy space while being rejuvenated, from Head to toe. We offer an array of beverages, from lattes to adult. Please refer to our salon polices before making your appointment. Thank you! Head2Toe Salon & Spa has been described as the most comprehensive personal care salon in the area and we welcome you to come in and get to know us! Barbering; precision haircuts, beard color and sculpting. Since we are a gender neutral salon and spa, men also enjoy many of our other services. 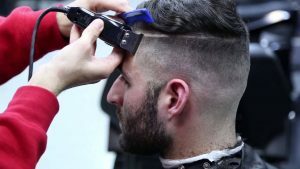 Full Body Hair Removal Services Are Offered to Men & Women, Including Waxing, And Trimming Options. Gel polish & Classic Manicures, Pedicures, With or Without Polish . 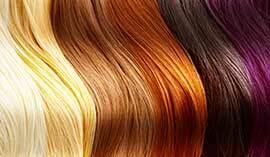 Designer Cuts, Colors & Highlights, Keratin Smoothing, Hair Extensions, Perms, Demineralization Treatments (To remove hard water from hair), Hydrating Scalp Treatments, Extreme Deep Conditioning Treatments.